The 3-way match – matching the Purchase Order, Goods Receipt and Invoice for every purchase – has been a cornerstone of procurement best practices for many years now. It protects against fraudulent invoices or duplicated payments and even helps to ensure that payments are made on time (but not before goods have been received.) Yet, many organisations choose to dispense with it, because the process is tedious when done manually. E.g. having Invoices arrive on your desk before Purchase Orders do, leaving you in a race against time to find out if payment should be made. TenderBoard’s eProcurement system is designed to help SMEs solve this problem by digitising every step of their purchasing process. 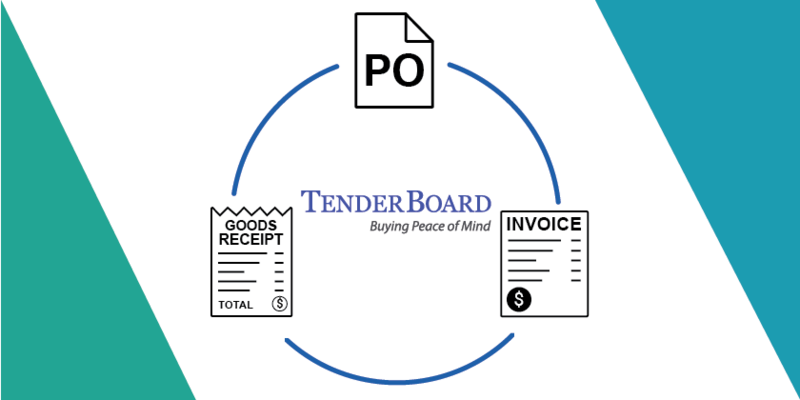 Imagine being able to track if everything is in order whenever an invoice arrives in your inbox – TenderBoard does that for you and much more! From the moment a Purchaser raises a request to list a purchase on our B2B marketplace, all approvals, communications with suppliers and quotations received can be tracked on the system, allowing full visibility into every purchase made on the system. The system also automatically generates a Purchase Order (once any required approvals have been obtained) and allows you to track Goods Receipt and receive invoices digitally as well. The biggest challenge today with automating the 3-Way Match is that every invoice comes in a different format, which makes it hard for software, or machines, to reliably pick out details from invoices with 100% accuracy, even with the latest advancements in OCR and AI. And without accurate invoice details, it is difficult to fully automate the 3-Way Match. But looking ahead, TenderBoard can help to completely automate the 3 Way Match with the Singapore Government rolling out the National eInvoice Standard. The new standard will help you enforce that all your suppliers provide you invoices in the same digital format, allowing our software to immediately retrieve invoice details and match with your PO and Goods Receipt without the need for human intervention! Come speak with us today to find out how we can help you achieve an automated 3-Way Match and improve your account payables outcomes. To see our platform and learn more about our solutions, visit our website at www.tenderboard.biz.